Coppell High School senior shooting guard Alex Vuchkov sinks a basket during the fourth quarter of Friday night’s home game played in the Coppell High School Large gym against the Trinity Trojans. The Cowboys beat the Trojans in a close 49-45 game. 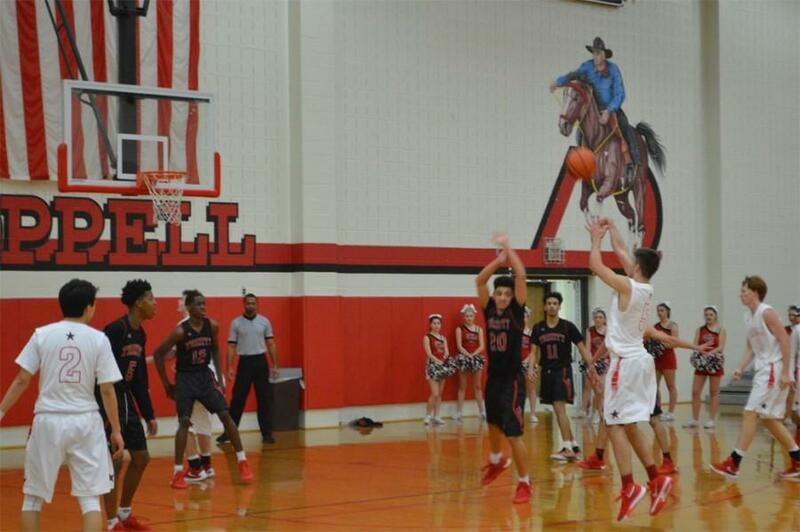 In a hard-fought district matchup on Friday night, the Coppell boys basketball (18-4, 4-0 District 7-6A) pulled out a 49-45 victory over the Trinity Trojans (12-5, 2-1). The crowd had barely taken a seat before CHS senior point guard Josh Fink put the Cowboys in an early 2-0 lead against the Trojans. The first half moved quickly as three pointers were fired from both teams; the first of which by CHS junior small forward Christian Plummer. Defense on both sides really stepped up second quarter to slow down scoring – each team scoring 10 points. This more aggressive push led to more fouls, and the Cowboys were were able to knock down their free throws. Coppell managed to keep itself ahead, but by a close margin, going into the second half up only 26-21. The Cowboys’ ability to recover on offense really shined in the third quarter, but Trinity’s offense allowed them to take advantage of their possessions and stay close to the Cowboys. Trinity scored one point more than Coppell in the third quarter, ending at 39-35. 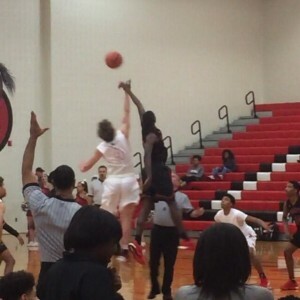 Coppell High School junior small forward Sam Marshall and Trinity High School junior Jareth Roberts tip off Friday night’s home game played in the Coppell High School Large gym. The Cowboys beat the Trojans in a close 49-45 game. 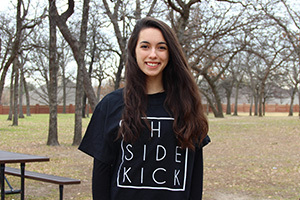 Photo by Rachel Buigas-Lopez. This close-scoring game reached its pinnacle in the fourth quarter as Trinity took the lead, 40-39, with 7:19 minutes left in the quarter. Both sides got far more aggressive and the game was ridden with fouls. The Cowboys’ free throws were inconsistent, which could have put them in a stronger lead. However, they were able to continue a solid offensive attack. The game was never more than a few possessions away from either team’s lead. However, after their slight lead, Trinity’s offensive strategies proved faulty to the Cowboy defense as Coppell was able to consistently force turnovers. This did not lessen the Trojan’s zeal however, and with seven seconds remaining, Trinity lessened the gap again to 47-45. Despite the inconsistent free throws on the side of the Cowboys, Coppell junior point guard Robin Kim was able to create a bit more distance from the Trojans, sinking both his foul shots and ending the game at 49-45.